Join me in my studio on beautiful Whidbey Island, at the mouth of the Puget Sound in Washington State. 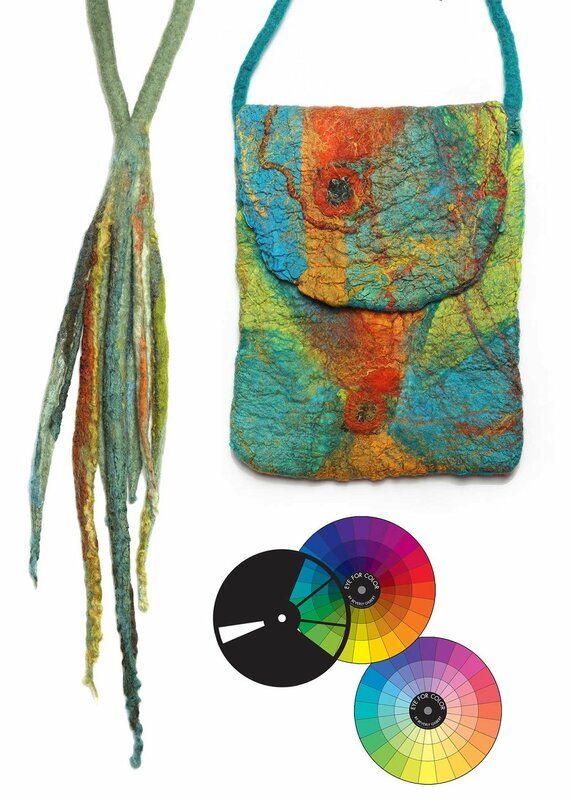 During our days together we will explore the beautiful world of Fiber Art with a focus on Nuno Felting. While you are here, we will gather round my dining room table - drink wine and eat healthful, yummy food that I have lovingly prepared from my mother's recipes. You will have a chance to walk the beach and gather pieces of driftwood, agates, rusty bits. Whether you are new to fiber art or a lifelong felting enthusiast, I have designed a retreat that will let your colors shine! Join me while we indulge our creative spirits with inspiration and creative camaraderie and dance with the versatile art of Nuno Felt. Welcome to the beautiful world of Nuno Felt! Create stunning wearable art by collaging bits of silk and wool into a new piece of fabric. This collection of Nuno-Felt projects are accomplished with no sewing, knitting or stitching of any kind. Create a Nuno Felt piece bursting with color and textural interest that can be used as a shawl, a wall hanging or a table runner. Dive Into Color workshop included! Design a reversible Nuno-Felt purse sized to fit your ipad, iphone, wallet and other essentials for an afternoon out. This colorful purse features an integral dreadlock strap, top flap and luscious combo of wool and silk. Dive Into Color workshop included. Throw on a splash of color with this reversible, short Nuno Felt jacket. Explore design elements using silk collage, holes and colorful wool accents to create a piece of wearable art light enough to enhance any outfit. Dive Into Color workshop included.